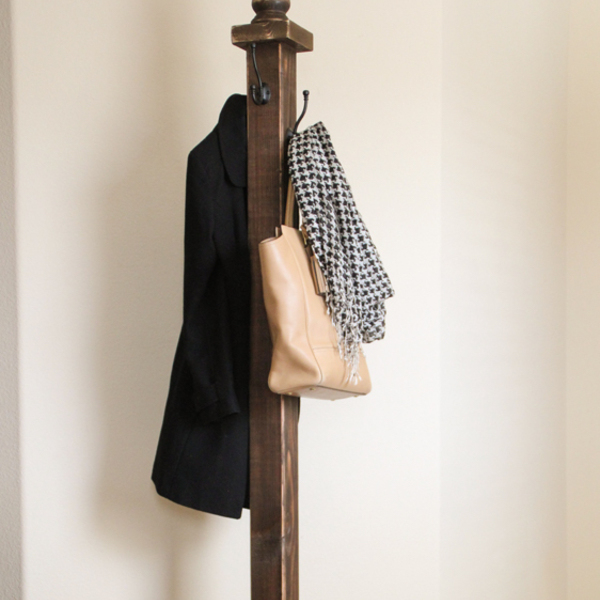 With the cold winter season comes cold winter jackets, so why not have a cute and functional spot for your guests to hang their coats!? 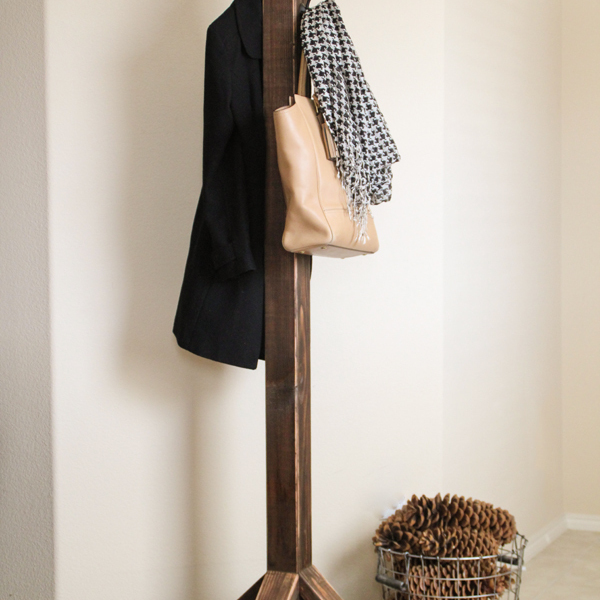 We built this handsome guy for about $30 and it was quick and EASY. Time to cut the legs. 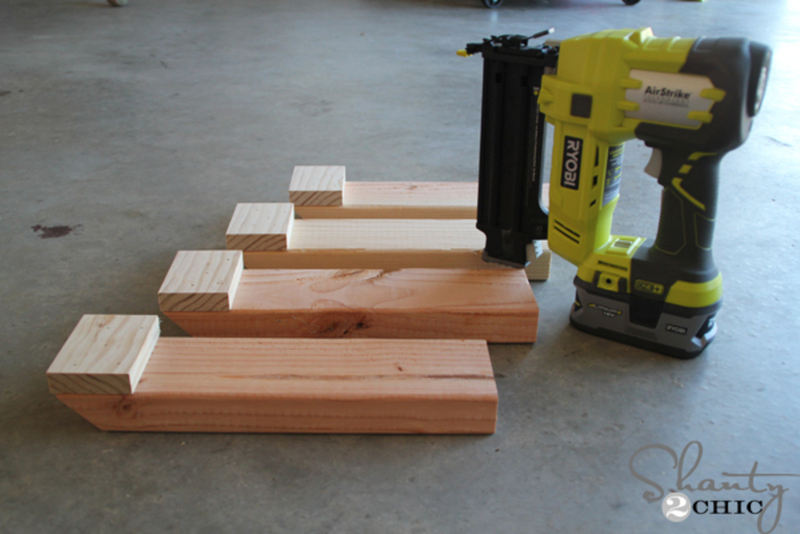 Cut 4 pieces of 2x4 at 45 degrees to 13 ½ in. 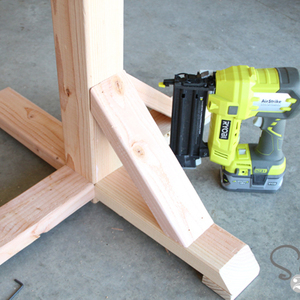 Use your scrap 1x3 to make the feet. 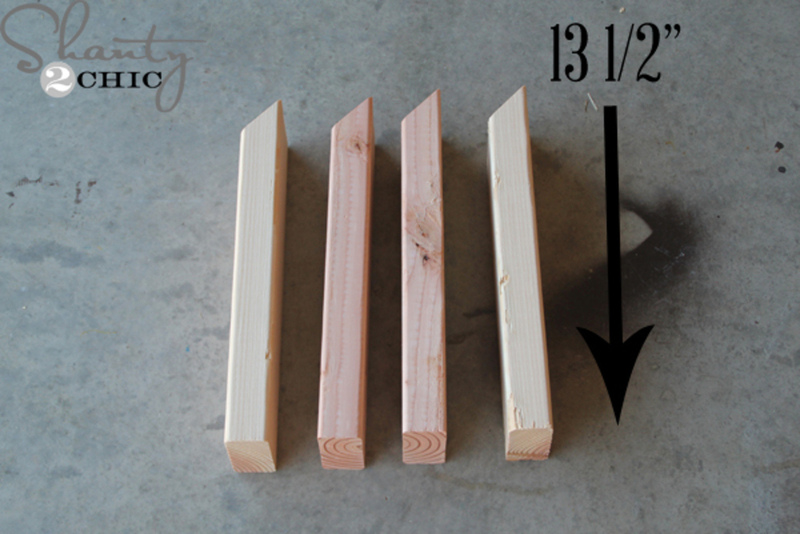 Make 4 cuts at 3 ½ in. 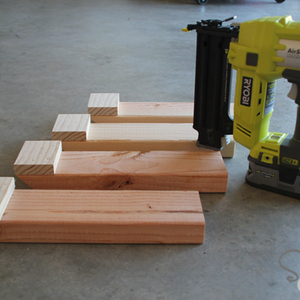 Note: you want these cuts to be the width of your 2x4. 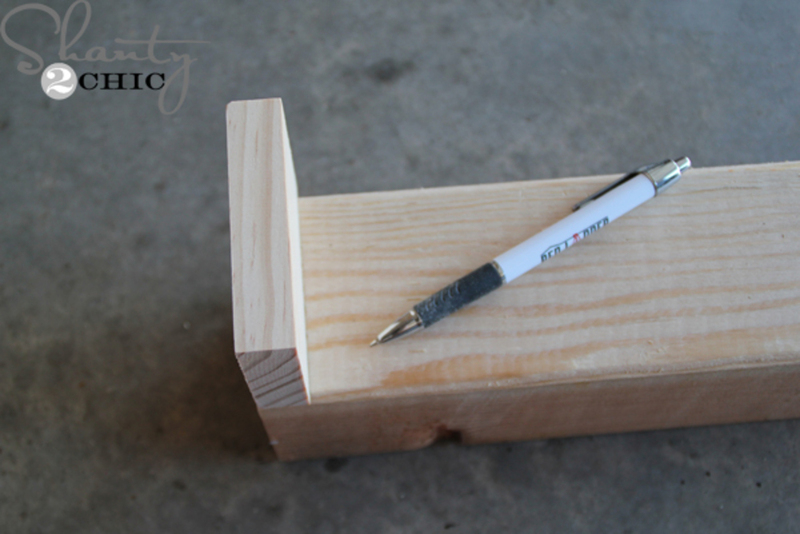 Because a board’s width may vary, we suggest you measure your 2x4 and cut accordingly. 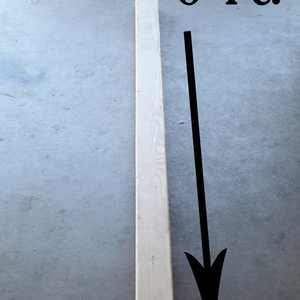 Before we attach the feet, we laid a foot on the end of the 4x4 (flush with the bottom) and marked the spot on the 4x4. 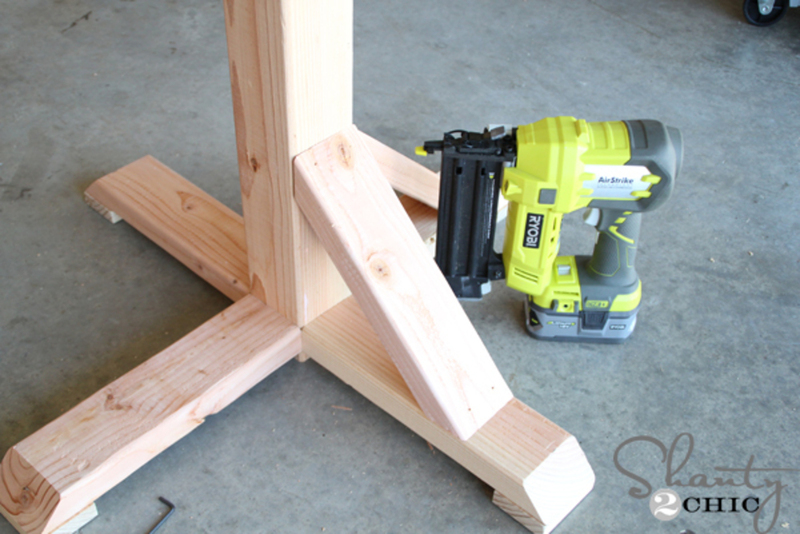 Do this to all four sides. 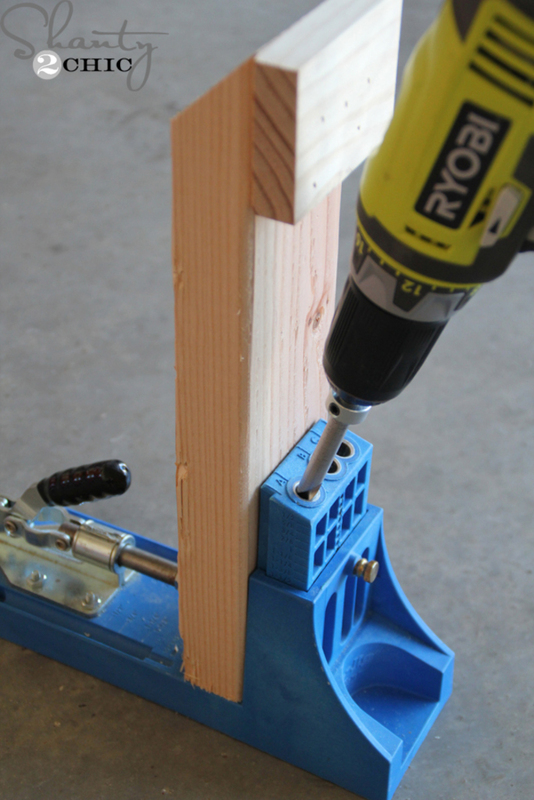 Assemble the feet using wood glue and a RYOBI AirStrike nailer. 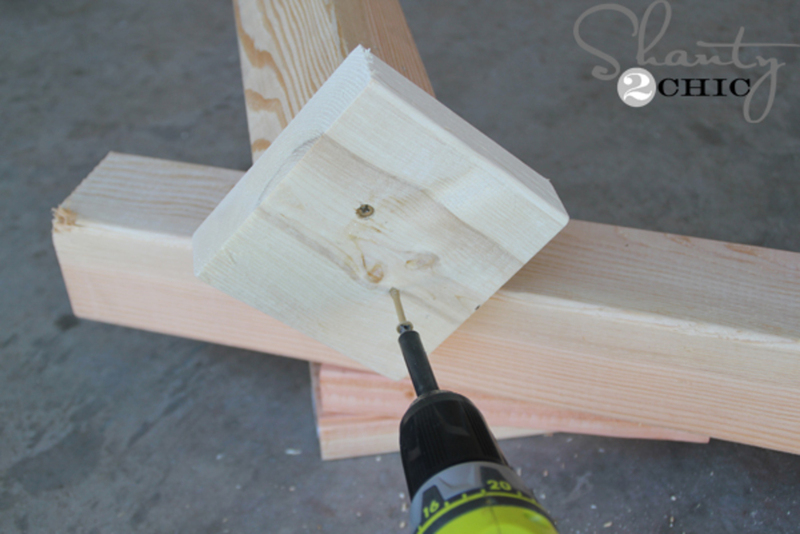 Attach the 1x3 to the miter end of the 2x4’s. 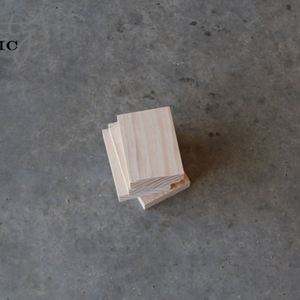 The edges will be flush. 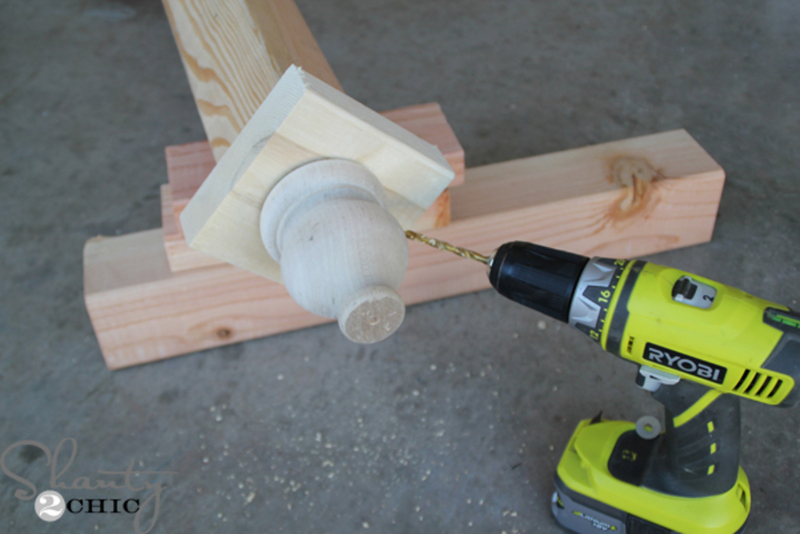 Use a jig to drill 2 -1 ½” pocket holes on the straight end of each leg. 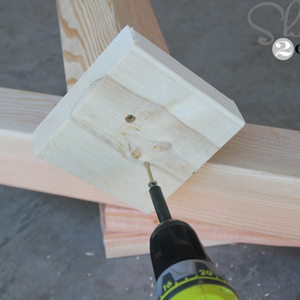 Using the mark we made on the 4x4 earlier, line up the legs with the line and attach using wood glue and 2 – 1 ½” pocket hole screws. 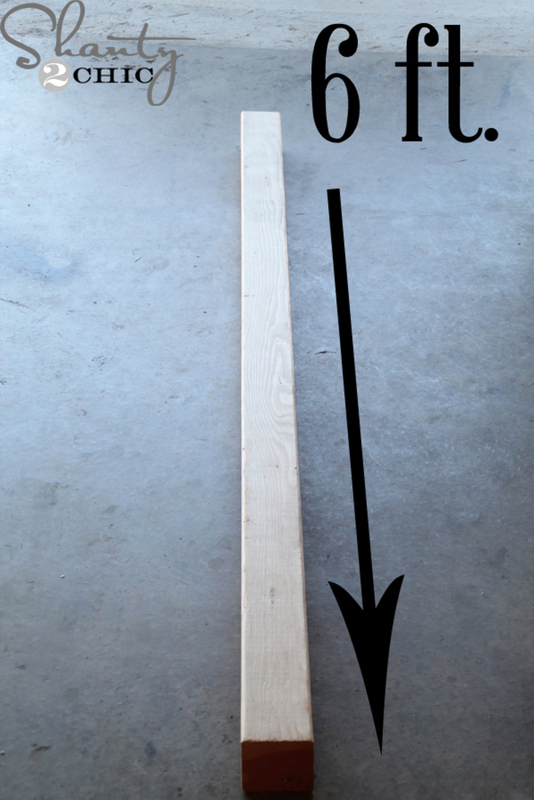 Attach the remaining three legs to the 4x4 the same way. 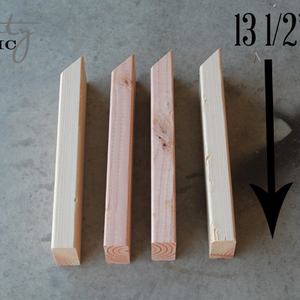 Cut 4 pieces of 2x4 with both ends at 45 degrees to 13” long (long point to long point). 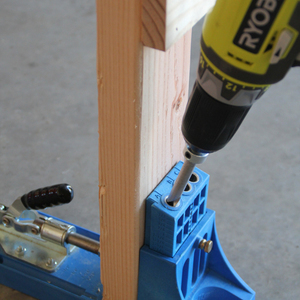 Attach them to the body of the legs using wood glue and our RYOBI AirStrike. 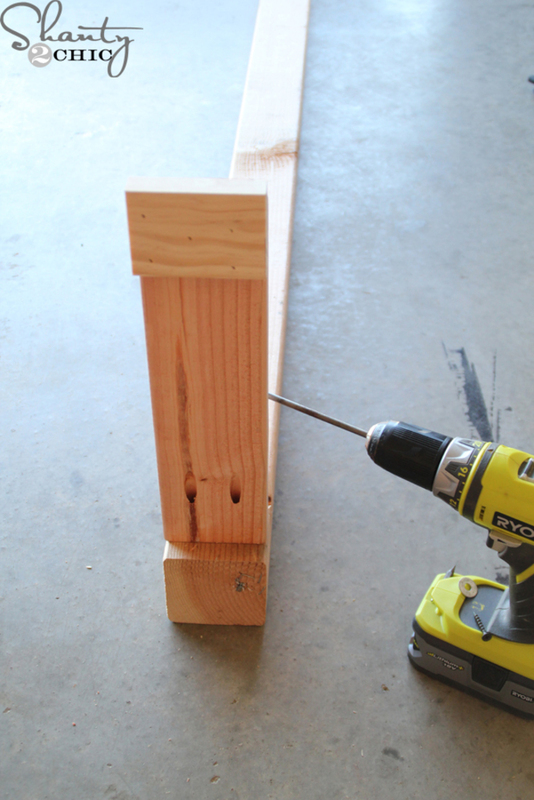 Cut a piece of 2x6 to 5 ½” to form a square. Attach it to the top of the coat rack with wood glue and 2- 2 1/2” wood screws. 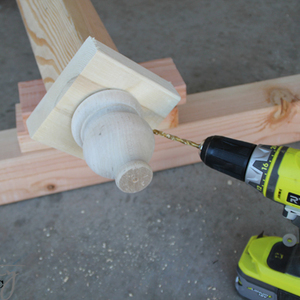 Finish the top off with a furniture leg. 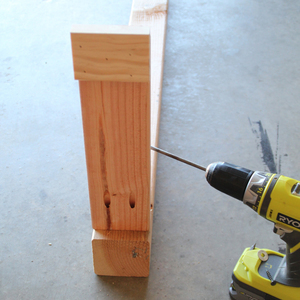 To attach, first pre-drill a shallow hole and fasten with a screw. 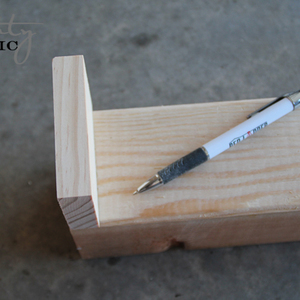 We also used wood glue to secure it. In the materials used, there's a scrap 1x6 listed. In the instructions, it's a 1x3. 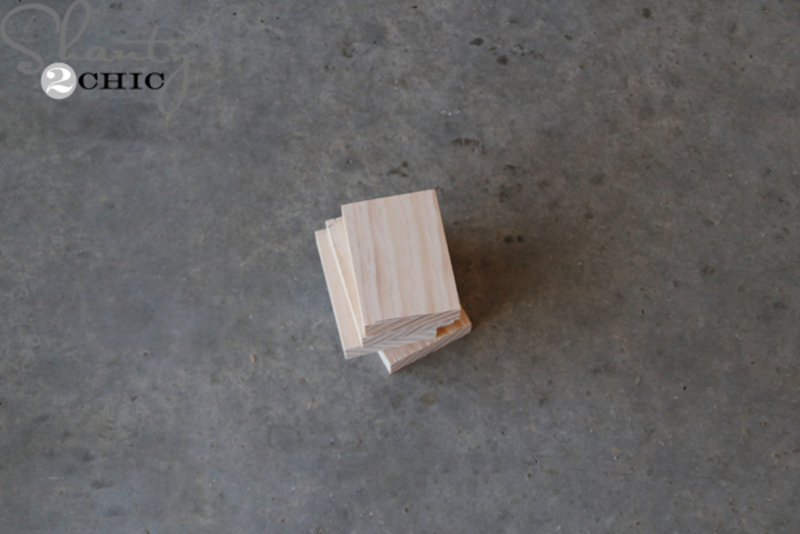 Should the piece be 1x3 or 1x6? Thank you!